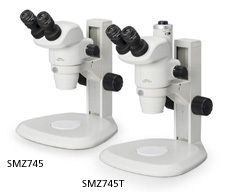 The SMZ745/745T boasts a 7.5x zoom that incorporates the Greenough optical system. The zoom range of 0.67x to 5x provides a broad observation range. 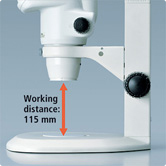 As well as high zoom ratio and magnification, the SMZ745/745T offers a long 115 mm working distance. 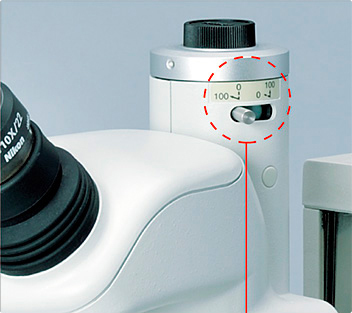 The SMZ745T incorporates an optical path switching lever that enables easy switchover between eyepiece and camera. A Nikon Digital Sight series camera can be attached. The airtight, anti-mold, anti-electrostatic design makes the SMZ745 suitable for use in a range of working environments. 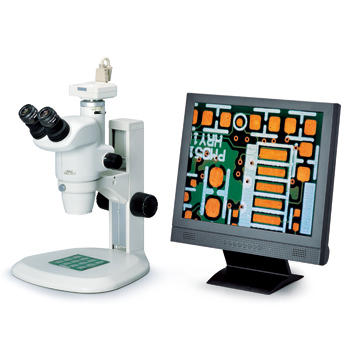 *The SMZ745T has an anti-mold, anti-electrostatic design.